Arab, Lebanese people are the largest Arab group in the United States. They began migrating to the United States in the mid 1850s with those being Christians. Since the first migrations, those who have migrated adhere to Islam. They are predominantly Shi'ite and Sunni Muslims. Historically, they have excelled in business, academia, arts and entertainment and have had a significant participation in American politics and social and political activism. Arab, Lebanese people respect age and parents. In fact, family is the core value reinforcing their social identity, which plays out into loyalty to family superseding all other allegiances. Hence, they are expected to protect the family's honor. Moreover, their social life is extremely important. So, for instance, one can often socialize with them by sharing a daily coffee or tea time. In other words, relationships are extremely important and therefore getting to know them and their life story is important. Ask the Lord to call people who are willing to reach out and share the love of Christ with them. 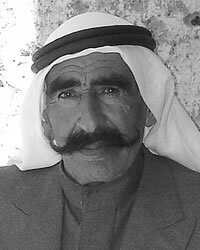 Pray that God will raise up faithful intercessors who will stand in the gap for the Arab, Lebanese. Ask God to give the few Arab, Lebanese believers opportunities to share the love of Christ with their own people. Pray that their traditional culture will soften, creating open doors for the Gospel to be preached among them. Displaying 1-30 of 60 results.